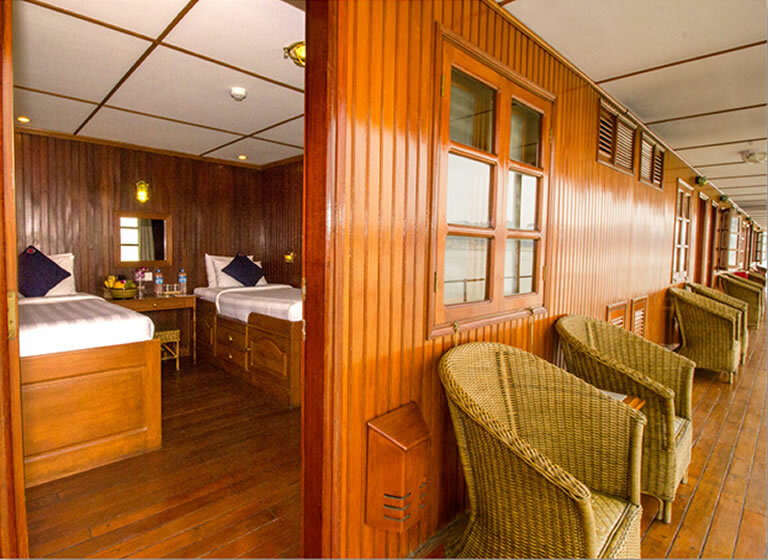 Sailing on a Pandaw ship is an outdoor, fresh air experience. 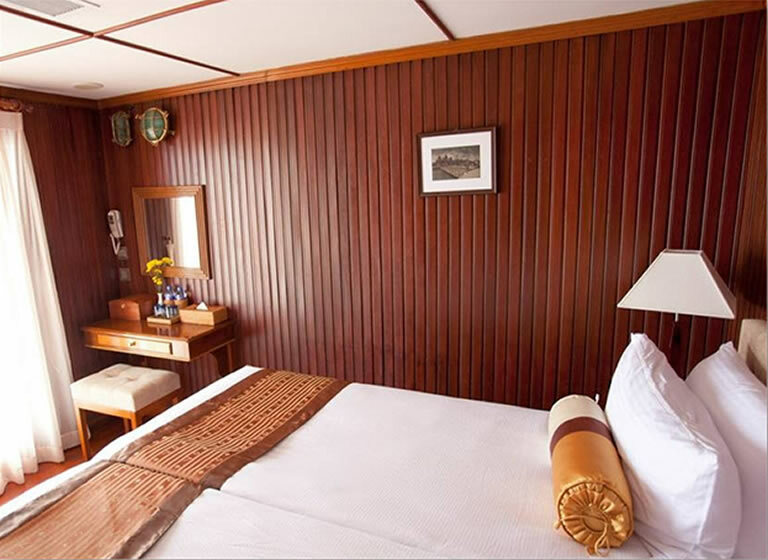 However comfortable and roomy the staterooms, passengers prefer to spend their time sitting outside, on the promenade decks or on the vast observation deck above. Unlike most other cruise ships, every window on board (except for the portholes on the lower deck) can be opened and closed to suit your comfort. 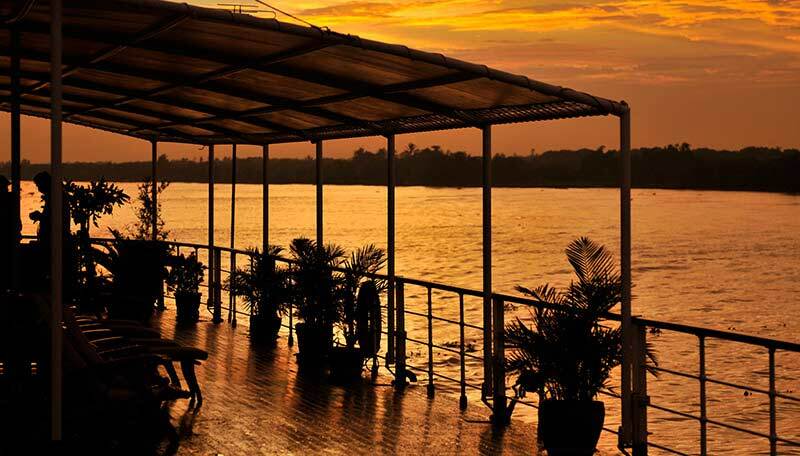 As we sail, we find that our passengers like to sit on deck, absorbed by the awe-inspiring riverside panoramas that unfold before them. 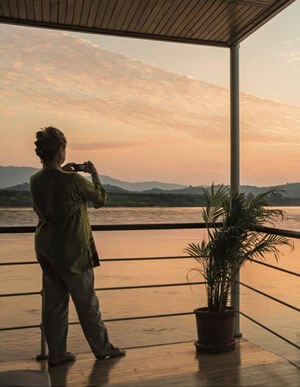 From the comfortable vantage point of a teak-floored Pandaw deck, it's hard not to become hypnotised by the unceasing human and wildlife activity that characterises the great rivers of Asia. 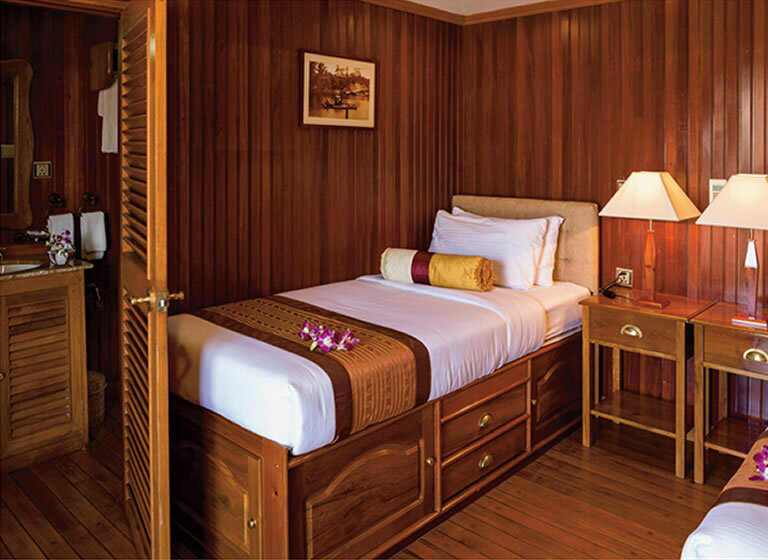 The Pandaw stateroom is the most celebrated feature of our ships, combining splendid colonial-era character with exquisite contemporary comfort. 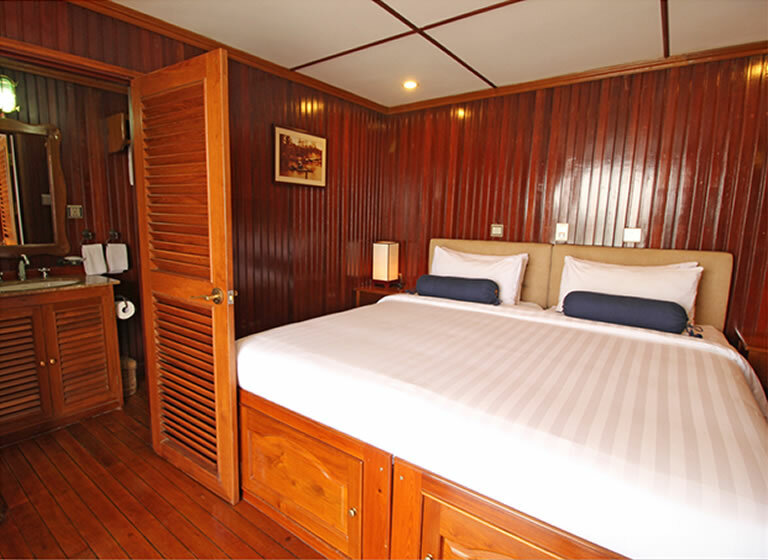 Finished in brass and teak, the main and upper deck rooms are a spacious 168 square feet (15.6 sqm), with the exception of the Zawgyi Pandaw which is 150 square feet (14 sqm). As the space is much loved by all our passengers, we have ensured that with each ship we build, the stateroom remains essentially the same. 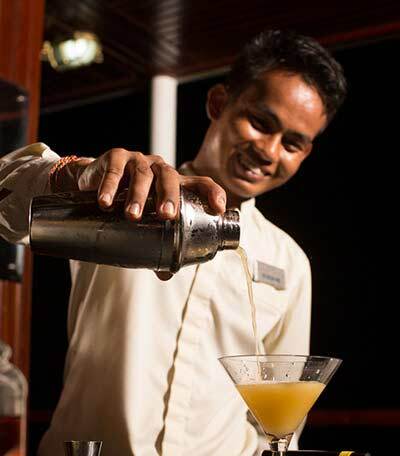 Be advised: our cabins do not have mini-bars, satellite TV's, internet access or telephones. 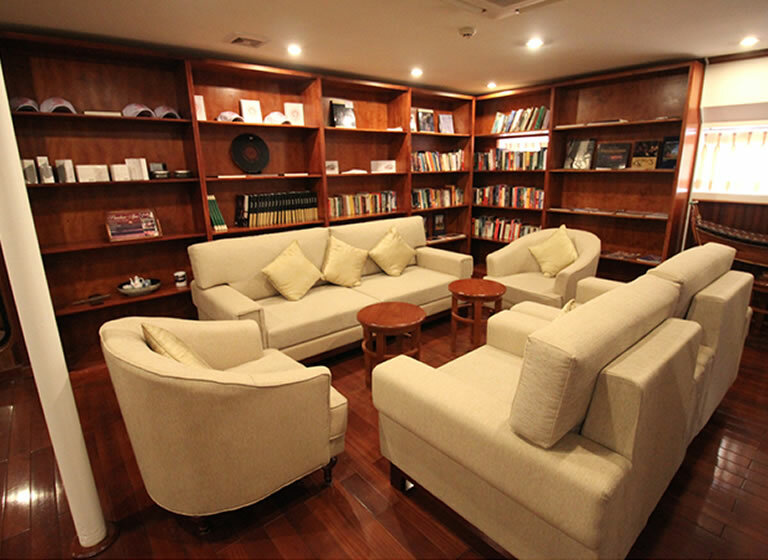 Passengers tend to choose Pandaw in order to escape from the tiresome features found in international business hotels. 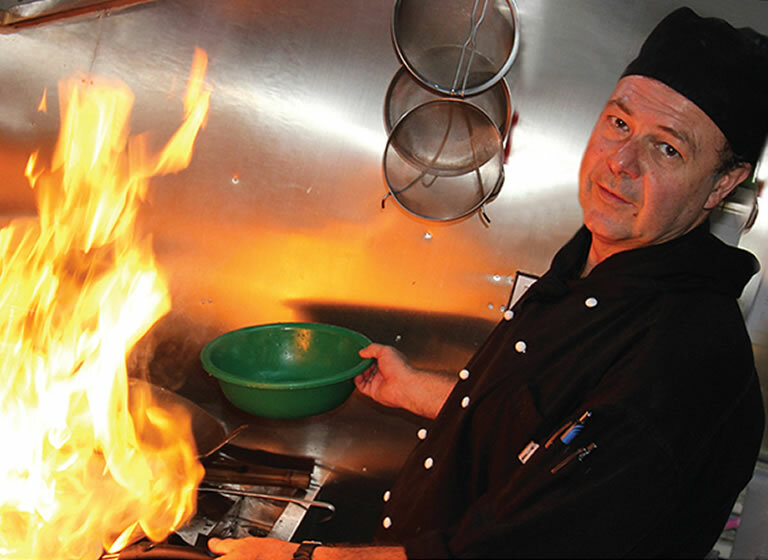 Many passengers have described life on board a Pandaw as more like being a guest on a private motor yacht, than a passenger on a conventional cruise ship. For a start, our itineraries and our quest for the most spectacular sights and experiences is far more intrepid than conventional cruises. And when passengers return to the ship after experiencing the wonders of life onshore, they are coming back to a floating oasis of low-key luxury, caring service and all the good things of life. 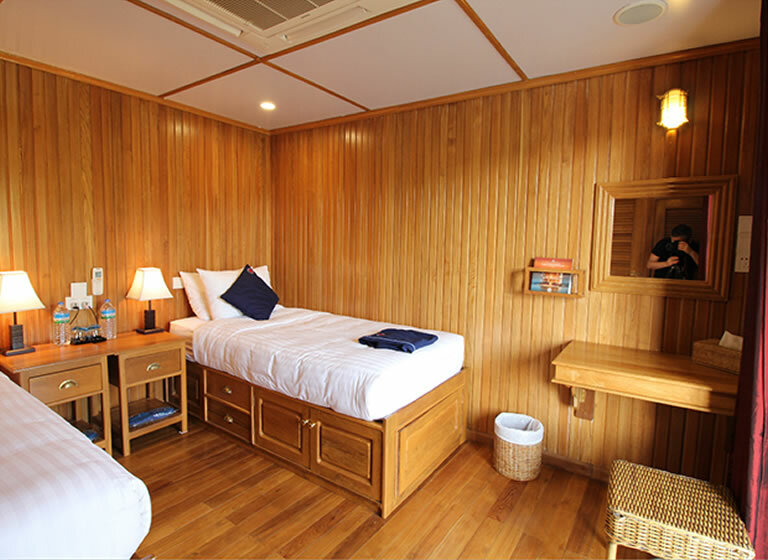 All our cabins are the same size and all contain Pandaw's signature amenities. 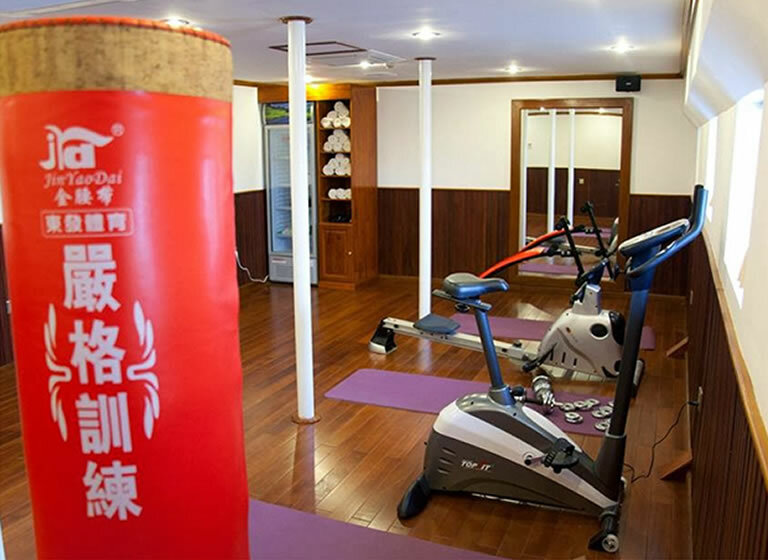 Passengers can choose from the Main Deck or Upper Deck. 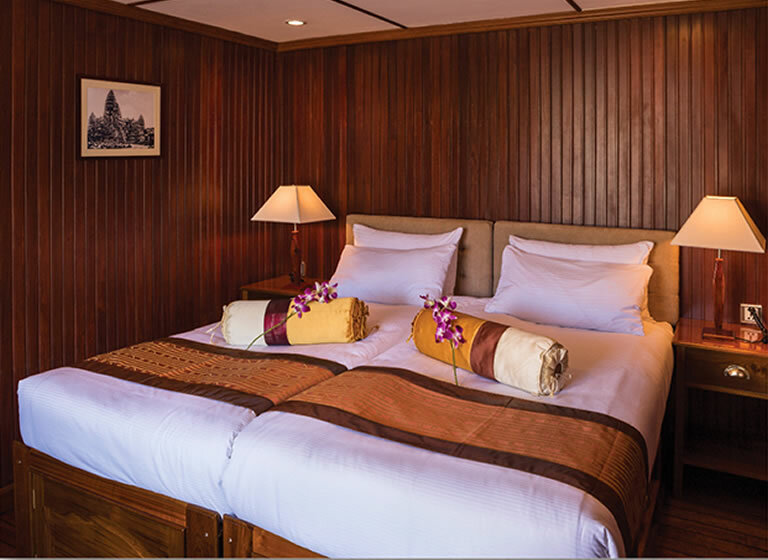 Our ship Kalay features a bigger suite on the upper deck. The Pandaw dining rooms are designed to open up along the sides to allow cool breezes to waft through. Only at night we do close them up and turn on the air-conditioning. We know our passengers prefer fresh air to chilled air. The new Katha Pandaw, designed in response to feedback from our passengers, has no formal dining room but rather an open air dining space on deck. 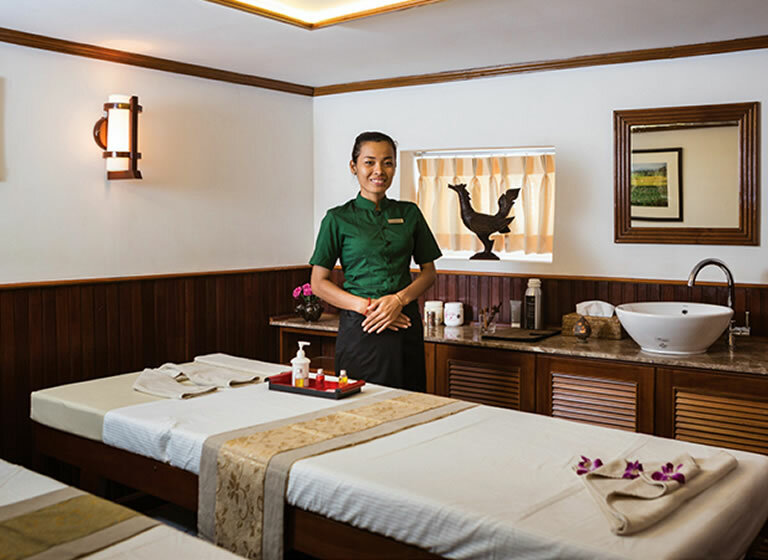 Currently only available on our Mekong Pandaw ship, the Pandaw Spa offers head massage, foot massage and body massages in dedicated spa areas. 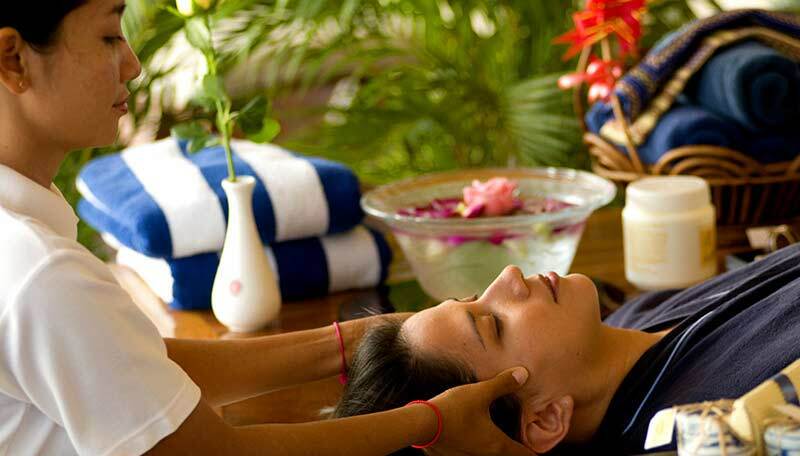 Our onboard spa is compact in size and staffed by a single highly-trained individual. As demand can be high, please be sure to book in advance. 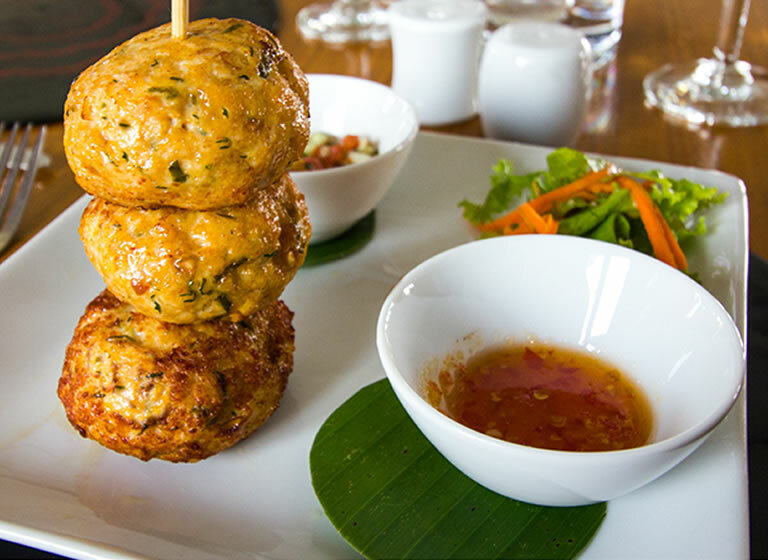 From its earliest days, the Pandaw concept has been deeply rooted in cultural and historical expertise, worn lightly. 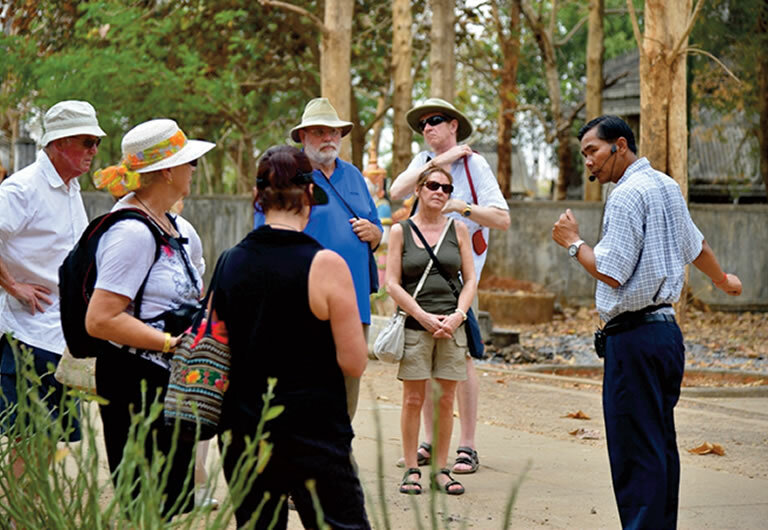 On any Pandaw river expedition, daily briefings are hosted by your purser and guide, which provide a forum to discuss the day's events and plans. 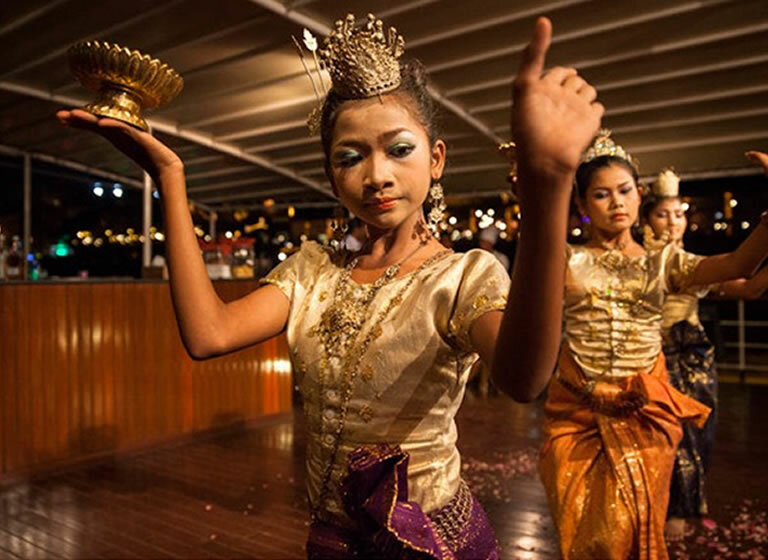 Most sailings will feature at least one cultural performance: in Burma it is the marionette theatre; in Cambodia the Royal Khmer Ballet; in Laos villagers perform a dance on deck. 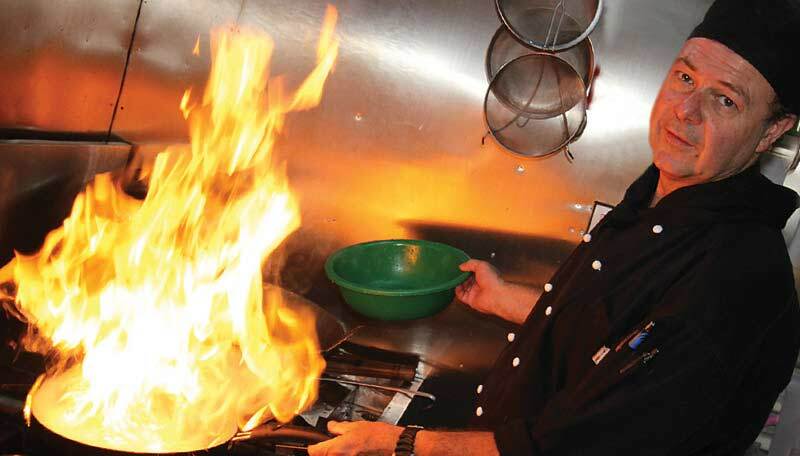 We also offer a range of onboard activities including: cooking demonstrations, fruit carving, napkin tying and a tour of the working ship. 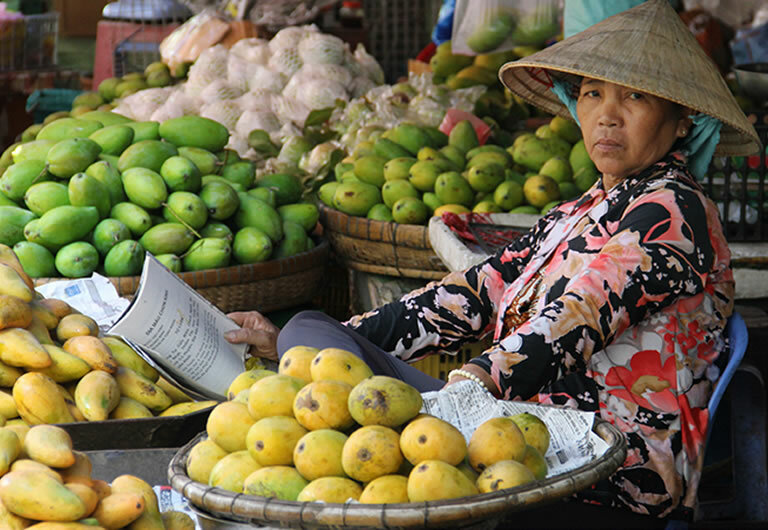 Themed movie nights are also popular - the film Indochine in Vietnam, The Killing Fields in Cambodia and The Lady in Burma are some of the favourites. Whilst the peace and tranquillity of our passengers is our priority and many passengers prefer to read, write or engage in painting or photography, we do offer a number of social activities that have become a traditional part of any Pandaw river expedition. 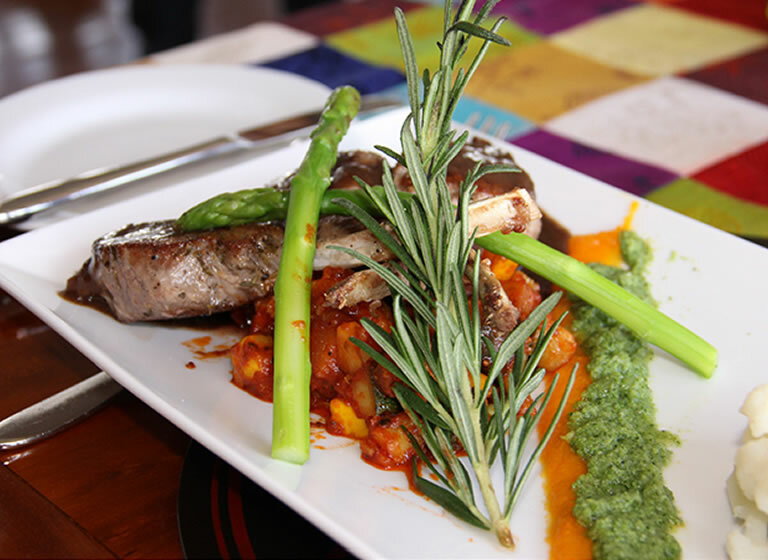 There are a number of social events during an expedition which will include a welcome dinner, cocktail parties on deck, a farewell gala dinner and dinners themed with local menus and costume. In the Burma dry season we often tie up on a sandbank and have a barbeque beach party on the sands, usually around a bonfire in winter. 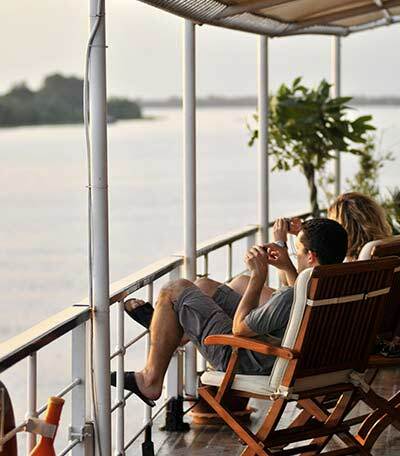 Excursions ashore are a key part of any Pandaw river expedition. 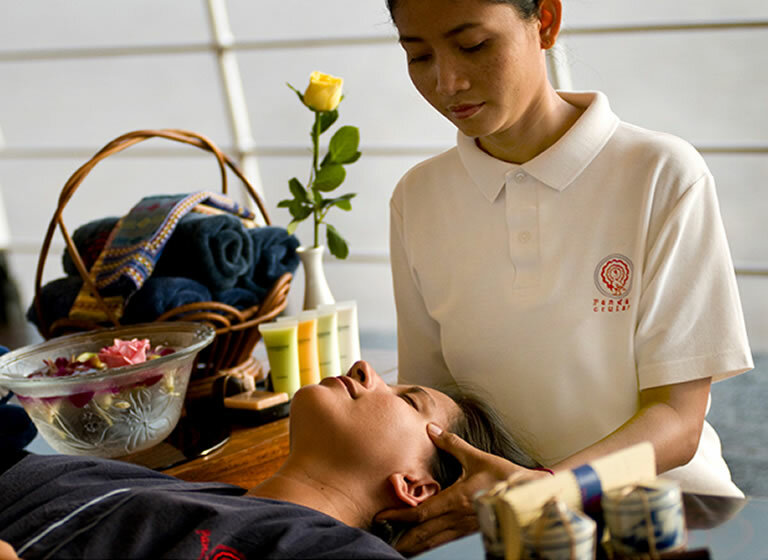 These may take the form of a good walk through the countryside and villages; further explorations by speedboat going deeper into jungle or up river; horse cart rides in Burma or cyclos in Cambodia. We try not to use cars or coaches wherever possible and in some places only the most basic local transportation is available, like at Katha in Burma where you may find yourself in the back of a truck looking for a working elephant camp. We stop at least once a day, and usually twice. 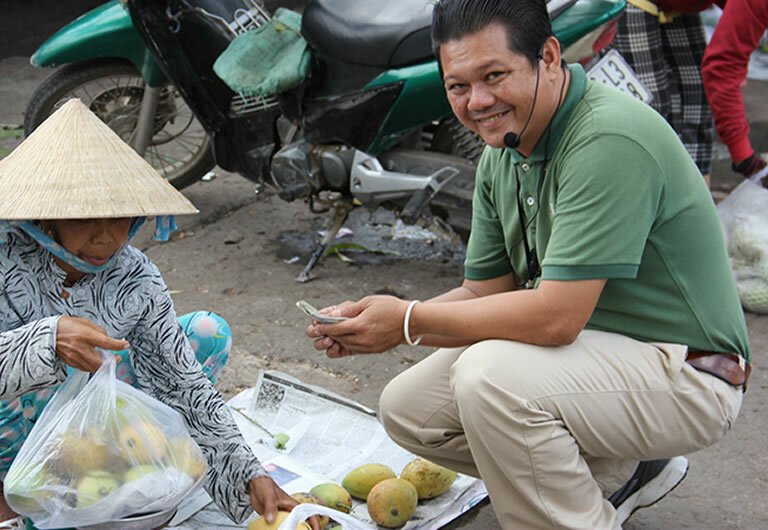 On the Mekong we will spend a day and a night in exciting Phnom Penh; in Burma we need at least a day and a half in both Pagan and Mandalay. Our expert guides will accompany you on these explorations ashore or you are welcome to make individual excursions as there are no issues of safety or security in any of the ports we visit. 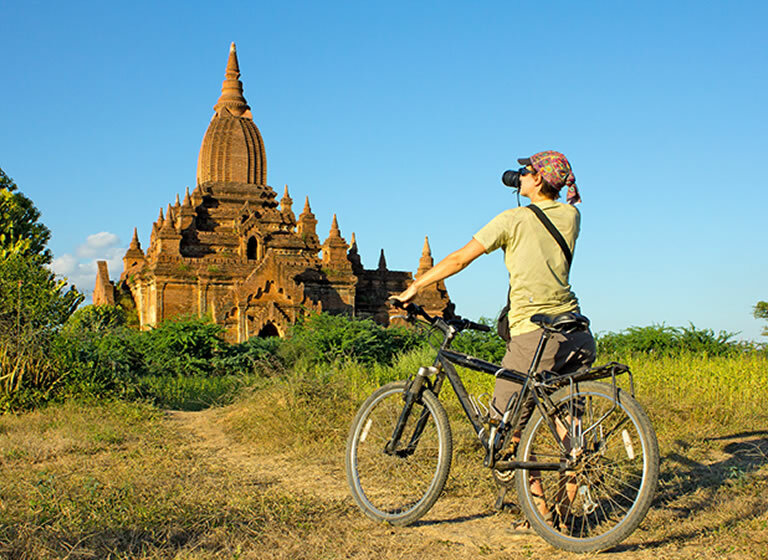 Imagine making your own discoveries by bike though the pagodas and temples of Pagan or exploring the scenic Burmese countryside and friendly villages at your own pace. Pandaw offers high quality Giant brand mountain bikes on all Pandaw ships, for departures from December 2015. At each river stop, the Pandaw crew will advise travellers on the best routes to follow for independent exploration and if required, a member of the crew will accompany travellers on their cycle adventures. 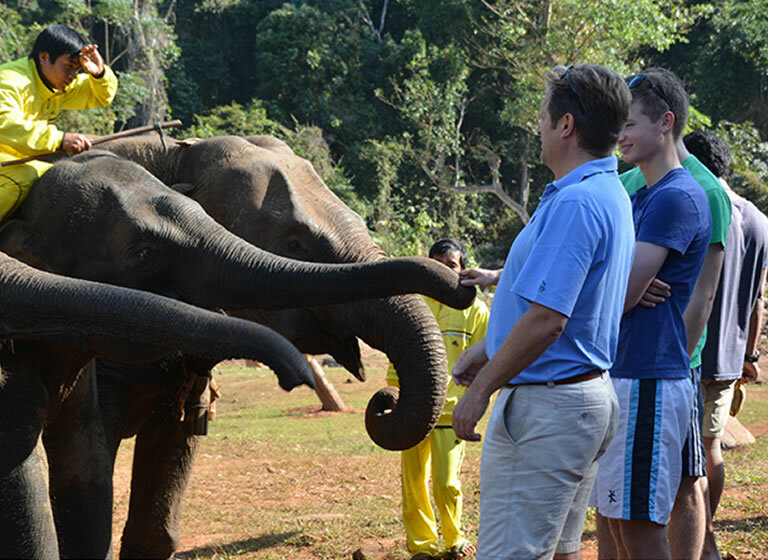 Contrary to some perceptions, Pandaw river expeditions are not just for the more mature. They offer brilliant educational experiences for younger people. 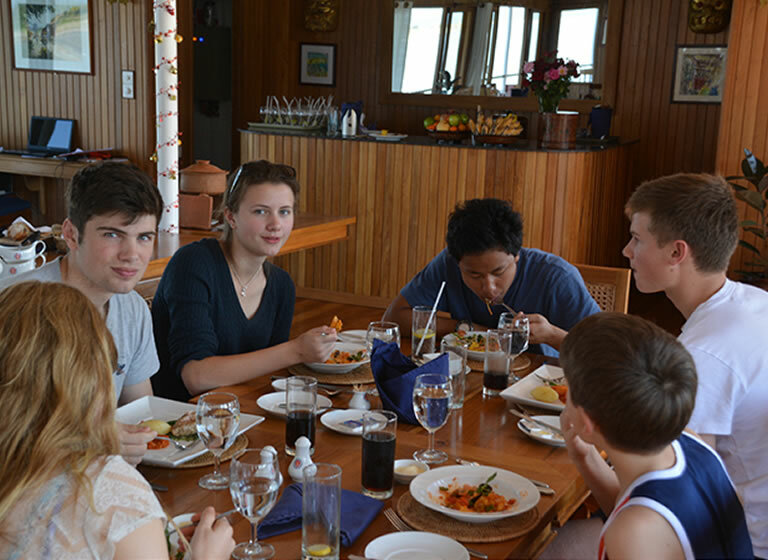 Given that all our sailing areas are very safe and secure and the local people are friendly, these sailings provide a great way for your kids to interact with locals and learn about different cultures. 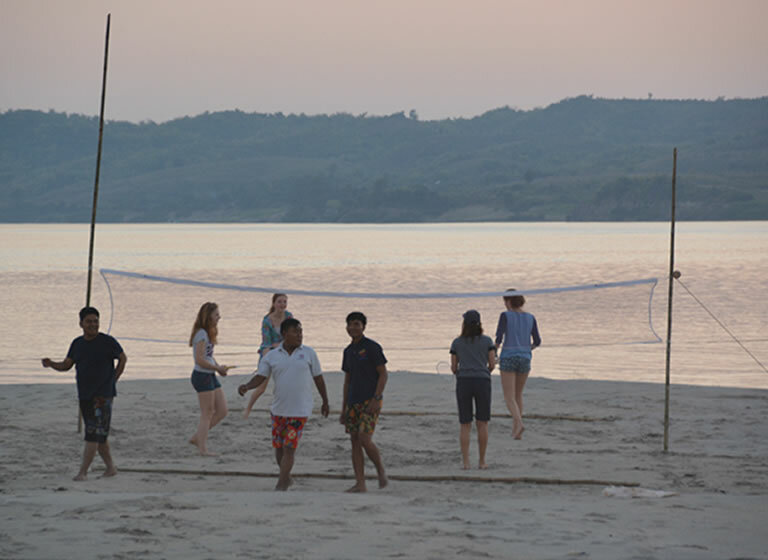 We carry fishing rods and badminton nets, and often when we tether for the night on a sand bank, the crew will set up the badminton net or arrange a game of football with the locals all joining in. We carry also board games like chess, Monopoly and Scrabble to while away those long afternoons cruising. 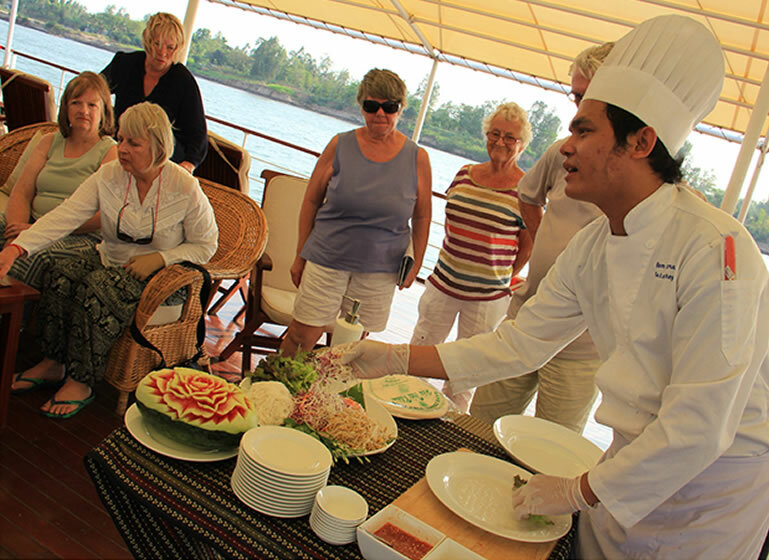 Kids also enjoy the cookery demonstrations and other onboard activities. Certain school holiday departures are designated as especially 'family friendly'.